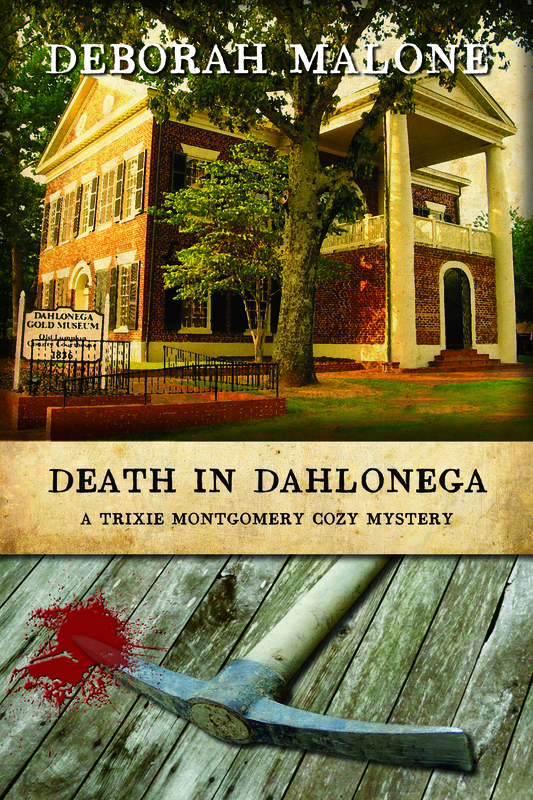 I am thrilled to be able to share my interview with Deborah Malone, author of Death in Dahlonega, on my blog today. Deborah has worked as a freelance writer and photographer, since 2001, for the historical magazine “Georgia Backroads.” She has had many articles and photographs published during this time. Her writing is featured in “Tales of the Rails” edited by Olin Jackson. She has also had a showing of her photographs at Floyd Medical Center Art Gallery as well as winning several awards for her photography. 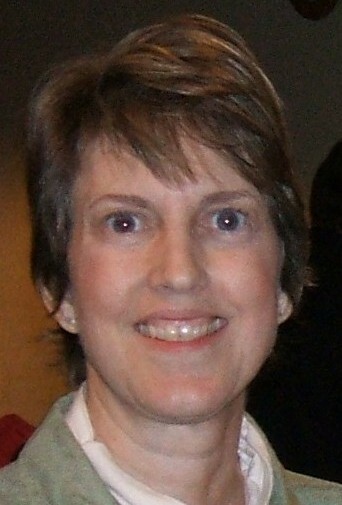 She is a current member of the Georgia Writers Association, and a member of American Christian Fiction Writers. She has an established blog, Butterfly Journey, where she reviews Christian Fiction. Death in Dahlonega, was a winner in the American Christian Fiction Writers’ Category Five writing contest. Pat: Do you work with an outline, or write “by the seat-of-the-pants” (SOTP)? Pat: What were your biggest challenges in getting your first book published? Deborah: This is a good question. Every author has their individual challenges/journey to publication. One of mine was editing my book. I kept getting different opinions on what needed to be done before it could be published. I finally hired an editor that was familiar with cozies and that was a big help. The second thing was I didn’t have an agent. I decided to try the small presses before shopping for an editor. It was a good choice for me. Pat: Do you have any advice for new writers? Deborah: There is always the advice to attend writer’s conventions, read writing books, etc. Those are great, but the one thing I want to say is “don’t give up.” It is a long road for everyone and you have to hang in there. I have fibromyalgia and an adult daughter that is severely disabled, and this limits the time I can write, but if you’re willing there is a way. Here are a couple of books that helped me the most. Write in Style by Bobbie Christmas and Goal, Motivation and Conflict by Debra Dixon. Pat: Are you working on a sequel or new novel? Pat: What do you like to do when you’re not writing? Deborah: Now that I’ve been published, I don’t have much free time. I do like photography though. Also, I’ve really enjoyed meeting people through marketing Death in Dahlonega. Pat: Deborah, it’s been a pleasure talking with you, and I wish you the best in your Trixie Montgomery series. A friendly adventure turns to murder and mayhem in the north Georgia mountains. Historical writer Trixie Montgomery is asked to cover Gold Rush Days in the picturesque Georgia mountain town, Dahlonega. Trixie seizes the chance to mix business with pleasure and asks her best friend, Dee Dee to tag along. Their well laid plans go awry when Dee Dee is discovered standing over the lifeless body of prominent citizen, John Tatum – the very man she’d had a run in with earlier that day – holding a bloody pickax in her hands. Can Trixie find a way to finish her assignment and keep Dee Dee out of the slammer? I hope you’ll check out Deborah’s intriguing novel available at Amazon.com, Barnes and Noble, and Lamp Post Publishing. Please answer the question: “What is your favorite thing to do on a rainy day?” Type your answer in the comment section below to have your name entered in a drawing for a free copy of Death in Dahlonega. The drawing will be held on February 17th. This entry was posted on Saturday, February 11th, 2012 at 6:54 AM and is filed under BOOK REVIEWS. You can follow any responses to this entry through the RSS 2.0 feed. You can leave a response, or trackback from your own site. For the past two years it has been study, study, study every moment I’m not working! Julie, Thanks for stopping by my blog. Hope you can make it to the booksigning Saturday. On rainy days I usually clean, clean, clean and get some organizing done. I do need to read more to exercise my brain but its the point of me slowing down but as I get older I do find myself reading more & more. Thank you so much for having me as a guest on your beautiful blog. On rainy days I love to snuggle down and take a nap and listen to the rain. Julie and crystal thank you for stopping by and leaving a comment. I like to sit around letting a smile be my umbrella (and not getting a mouthful of rain)! Hey Cuz – Thanks for stopping by my blog! My favorite rainy day is spent curled up in comfy chair with a good book, a cup of hot coffee or tea, and no one else in the house to distract me. I love to snuggle in my chair with a warm cup of tea and a great book! Maureen-Thank you for stopping by my blog. Nothing better than snuggling up with a book for sure! I like to write (thoughts and musing for future books, articles, etc.). Wow- I’m excited to see so many people stopping by to read about “Death in Dahlonega.” I appreciate all the support and wish everyone one of you could win a copy. If you don’t win and are interested in getting a signed copy you can contact me at debbiejeanm@gmail.com. Thanks again! Thank you for stopping by my blog. Can’t wait to read Death in Dahlonega. AND THE WINNER IS: straitfromthehive. Please contact me via email [pdyer3@cfl.rr.com] within three (3) days to have your book mailed to you. Congratulations. P.S. Please put “Death of Dahlonega” book winner in the subject line. Thanks. I didn’t hear from the winner, so we’re drawing again. And the winner is: Crystal Carter-Venable. Congratulations. Deborah has been notified, and will mail your book soon.